If you’ve never heard of Cap Cana, near Punta Cana, don’t worry. It’s new. But it’s being billed as the “best kept property secrets” in recent times. A planned community with five miles of pristine ocean-front just south of the eastern most tip of the Dominican Republic, Cap Cana will certainly become a jewel of the Caribbean. Update – it’s done and we do need to get some new pictures on here. Coming soon – still, just listen to what this place has and see if you agree it’s offshore extravagance that just may interest you. Who knows? Maybe your neighbor will be someone you watch on the screen – or maybe you are an actor yourself. 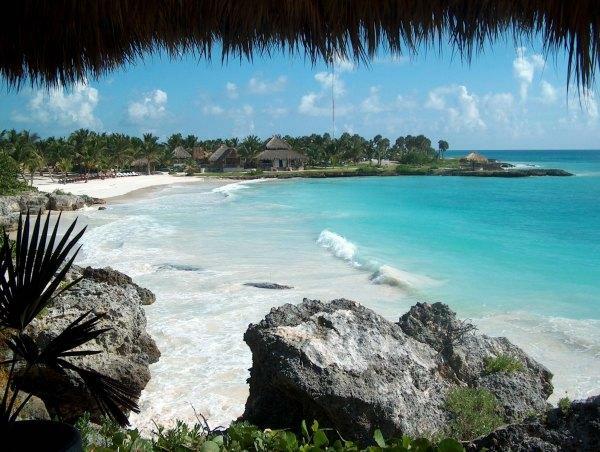 Take a look at what Cap Cana is all about. Since it’s on a point, Cap Cana has the Atlantic Ocean to the north and the Caribbean Sea to the south. The resort a work in progress, and it is grand. Three Jack Nicklaus signature golf courses are here. 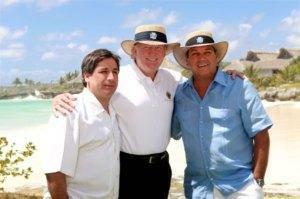 Word is Cap Cana gave the Nicklaus group free choice of property before beginning the design of the town. A large marina (as in “largest in the Caribbean”) is here as well as a yacht club – right near one of the finest, white sand beaches in the country. And someone is thinking and planning well – that someone includes Donald Trump, who became interested in the development. The villas are all on the water – fingers of land protrude out into the water affording each home a waterfront view. Homes have ocean access, as well. The beach is long, typical of most of the beaches on this coast. One thing we noted was that the shoreline recedes slowly – there are no drop-offs at Cap Cana as there are to the north. Sand – brilliant white with very little debris. Nice shoreline faces southeast. No sunsets, but plenty of spectacular sunrises. Facilities – soon to be one of the best on the island. Most areas near beach are completed. Shade – palms and umbrellas/tents/huts. Sports – full water sports facility on the property. Notes – once complete, this spectacle will be as charming as anywhere in the world. The weather is perfect here – dry days, rain sometimes at night. Invest? Send Cap Cana info w resort prices, links info.